Damn… this turntable.fm thing is a bit addictive! Dave provided a fistful of awesome when he posted about it, and it probably helps that we were in bands together and liked a lot of the same stuff. 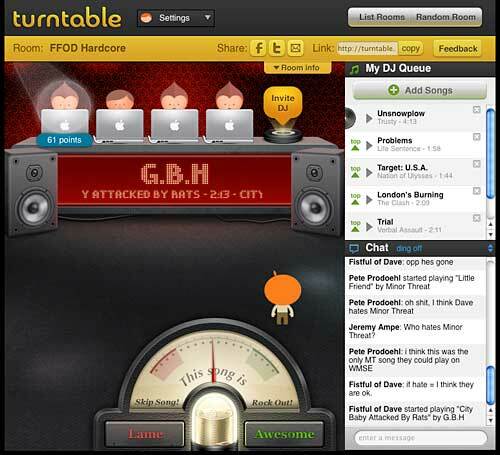 Turntable.fm uses Flash (urgh) and the search isn’t that great, but you and some friends who are into the same genres can have a good time taking turns “spinning discs” as it were.